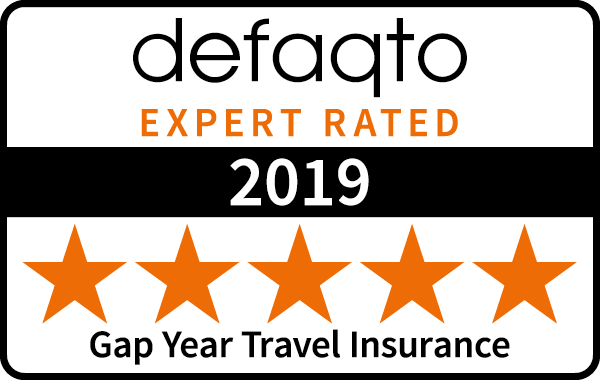 Are you heading on a gap year adventure and looking for travel insurance that is appropriate to your needs? Look no further than Outbacker Insurance. Our travel insurance has been specifically crafted to backpackers and gap year travellers looking to head abroad for their gap year or backpacking trip. Our cover ranges from Europe to Worldwide (including the USA) so wherever you're heading in the world, we can provide you with the cover that you are looking for. When it comes to gap years, we know that the average gap year traveller does far more than simply travel from one place to another. That's why our policies include cover for a variety of work as standard; including admin, bar, clerical & retail jobs abroad. A wide range of sports & adventure activities are also covered by your gap year insurance policy, from windsurfing to bungee jumping. It's easy to take the 'it won't happen to me' mentality when heading out on your gap year trip - but remember that accidents can happen. Personal belongings do get stolen, you may end up needing emergency medical treatment after an incident or you may be forced to return to the UK, cutting your gap year short. Outbacker Insurance is here to help you through the tough times and our gap year travel insurance will keep you protected abroad. Up to £15,000 if you suffer loss of limb, sight or permanent disability. Cover if you are forced to abandon your trip and head home. Personal liability & legal expenses if you find yourself in trouble.